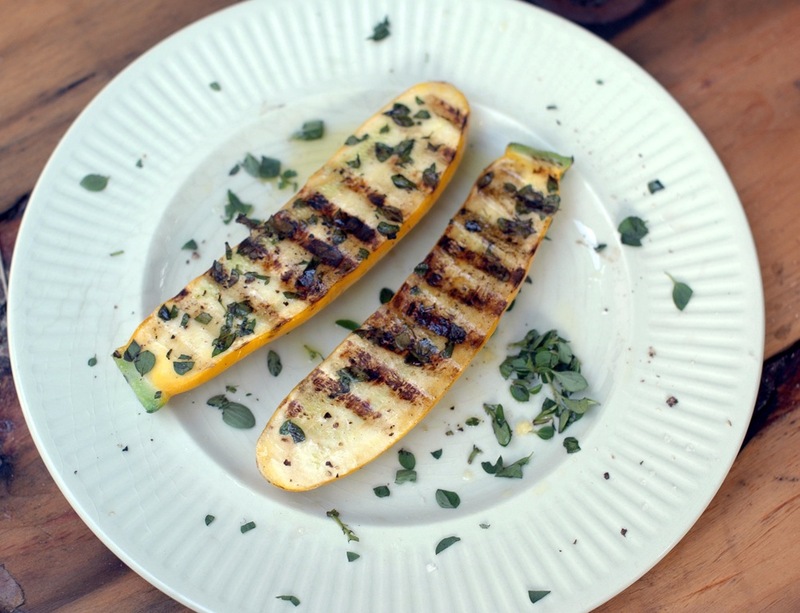 These yellow zucchinis are show-stoppers! Bright and beautiful they make an easy side to go with a barbecue lunch and look wonderfully cheerful on the plate. They’d also make a great addition to vegetable stacks or sandwiches. Direct from Dennis at Albion Park these zucchinis travel just over an hour to get to our door. 1. Heat barbecue to hot. 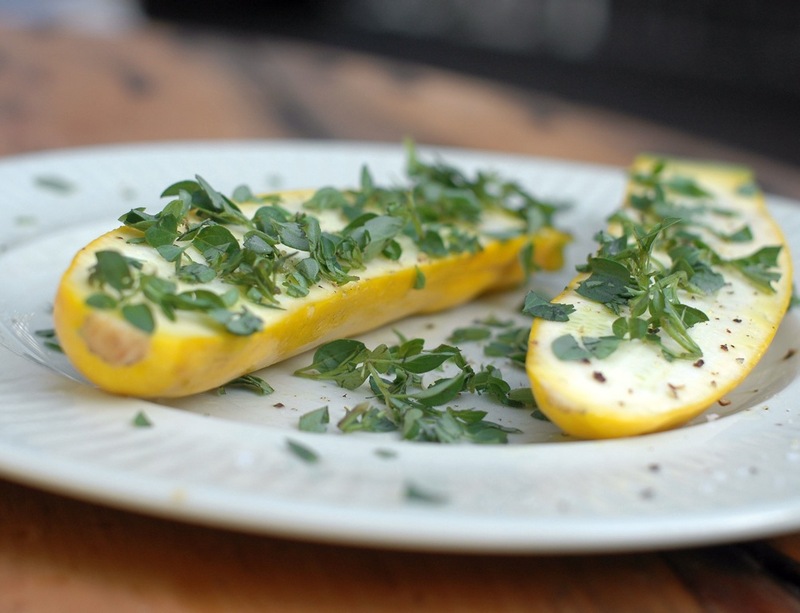 Halve zucchinis lengthways, brush lightly with olive oil on all sides, season and press marjoram against all surfaces. 2. Cook, cut side down, for 4 minutes or until charred then turn and cook for another 2 minutes, or until cooked through. Serve hot with a squeeze of lemon juice.